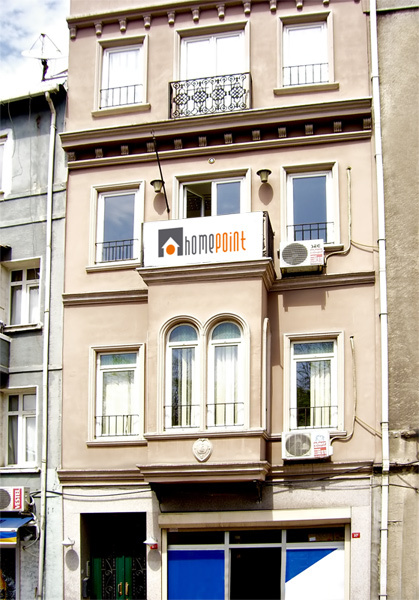 HOMEPOINT is established since 2008 in Beyoglu, which is in the heart of İstanbul. We are in Istanbul based property management company with approximately 55 units under management and provides a range of rooms, studios and apartments specifically designed for students visiting, and apartments specifically designed for business visiting, Istanbul. We believe the soul of Tepebaşı, Tarlabasi Aynalı Çeşme and Cihangir is reflected in its architecture and we are very keen to conserve it. After our renovation we consider carefully what each home needs, and furnished our flats accordingly. HOMEPOINT is currently working on additional projects to increase the number of units under management to 150 by 2013. HOMEPOINT invests in a wide range of residential properties from student housing to serviced apartments targeting business travelers and some commercial properties such as serviced offices. HOMEPOINT, first started investing in properties specifically designed to accommodate foreign and local students in May of 2009. The primary location where the first phase of investments were undertaken is the Tepebasi region in Beyoglu. Tepebasi, an under-developed part of Beyoglu at that time, presents opportunities in developing and offering reasonably priced living spaces in comparison to other locations in the region due to several reasons. With its close proximity to Istiklal Street, Galatasaray Square, Taksim and the Historic Peninsula, Tepebasi is ideally situated in Istanbul and affordable prices make Tepebasi an ideal choice for students"
Our team includes an architect, interior designer, decorator, technician, lawyer, web master and cleaner, all of whom help us to run our business smoothly and professionally.